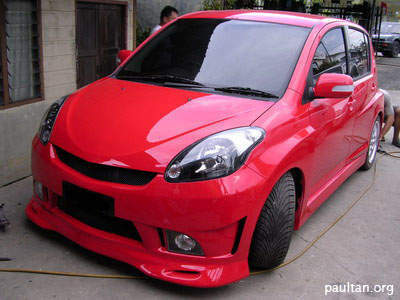 More inspiration for new Perodua Myvi owners who aspire to turn their car into something out of the ordinary! 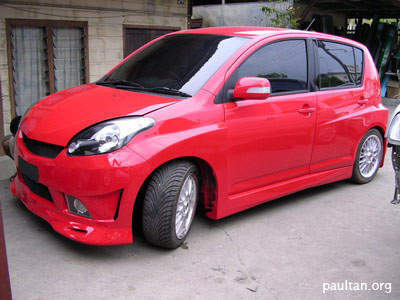 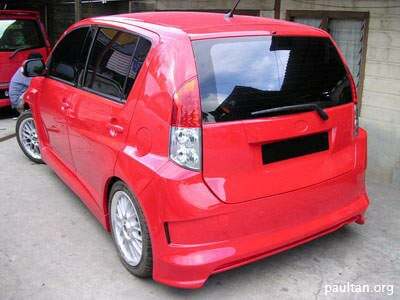 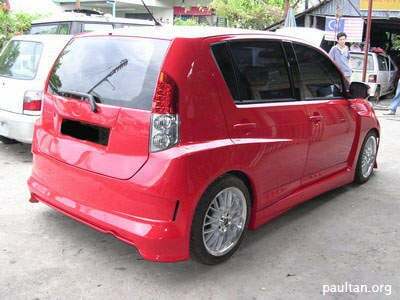 Presenting a Perodua Myvi with a wide bodykit. 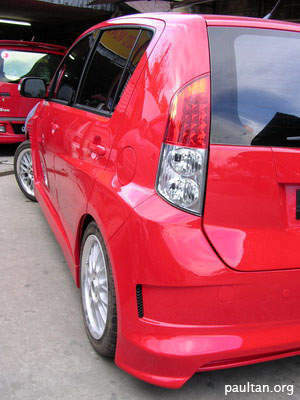 This car has a Sarawak registered number plate so I’m not sure whether this workshop is in West Malaysia or East Malaysia. 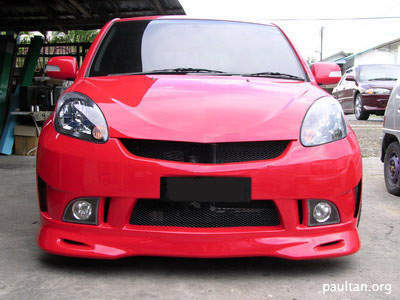 It really looks good even though the original Myvi bonnet has been retained. 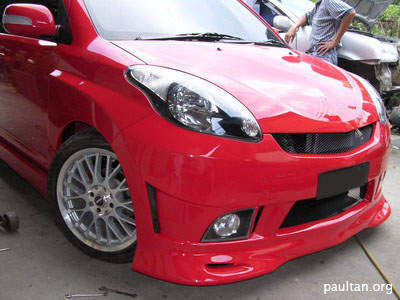 He removed the “Mini” style chrome logo on the front though. 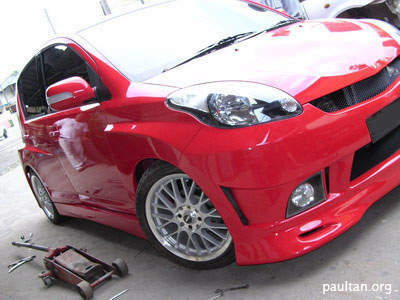 Thanks to Johari for sending the shots.